Just over 20 acres available less than two miles from Exit 16. Land can be subdivided for approximately 8 to 10 houses. Electric is at the road. There is a sign posted at the edge of the road. Contact for more information. 80 acres of vacant land located in scenic Cherry Valley. 65 acres of tillable land. A great location only minutes away from Route 20 and a close proximity to Cooperstown. Great opportunity to expand your business! Many Possibilities in this lot for sale. 3.94 acres being sold with 2 and 6 Lower Newtown Rd.6 Lower Newtown has mixed use building. Total acreage is 4.76 acres, 3 lots being sold together, will not separate. 280 acres of Adirondack recreational land with incredible views, private woods and a cleared area to build your off grid weekend cottage. This incredible property is situated within 15 minutes of Northway Exit 25. A deeded right of way will be conveyed across the neighboring landowner to Hayesburg Road. If you've been seeking a large acreage retreat property with a great location, check this one out. This property would be ideal for several single homes in a wooded setting or a large single estate. Also, with selective cutting of the mature trees and appropriate approvals, the site could be used for multi-family structures. 278 acres just 10 minutes from Adirondack Northway Exit 26 - this property has long mountain views and great weekend cabin opportunities for hunting, hiking, snowmobiling and horseback or ATV riding. Prime commercial parcel with 323' frontage on Route 9. Includes 1.25 acres of land, town water & possible access to sewer. Car count approximately 18,000 per day. Ideal location for a business that needs visibility and accessibility or a developer who would be interested in building a small mini plaza. Estate lots at their finest-a total of 18 lots in the Forest Hills Community-only 7 remain-sites range from 5-8 acres-homes average 6,000 sq ft-forested, open, some ponds-private, secluded, luxurious yet minutes to everything you need. Own a piece of Paradise on the Great Sacandaga Lake. Lakeview Village is a 20-unit townhouse development offering maintenance-free living, marina & gradual slope to the water. If you know the lake, you will agree you can’t find a more wide open, picturesque view. Buy your building lot and work with WITT Construction to select your finishes and reserve your dock space. Let the HOA worry about the maintenance so you can enjoy the lake! 5 contiguous building lots in the heart of tony Center Square, the historic neighborhood of downtown Albany. Zoned R2c. Public water & sewer. Curb cut in place for highly desirable and rare off-street parking. Typical neighborhood makeup is owner duplex with garden level apartment. Similar recent construction sold in the mid $300's. Property is a corner lot at the intersection of Dove and Lancaster Sts. Ready to build in Rexford! All water, sewer, gas, electric and cable lines are provided underground. Niskayuna Schools in Saratoga County. HOA $335 (annually). See accompanying documents for more information. Over 100 acres of land to support your agricultural pursuits - land consists of 32+ acres of croplands (Class I AND II soil) &) 70+ acres of pastures and woods horse hay barn, plus a 7 acre lake. The land is part of an easement with the Mohawk Hudson Land Conservancy and qualifies for a 25% conservation tax rebate. Build you dream home on a 6 acres within the property. The barn is actually two barns that are connected , one is post and beam. The barns has electricity. Attention everyone! This 108 acre parcel has so much to offer! A mix of woods & open tillable land with a small fully insulated structure that you could expand upon. Large pond, small pond, shale pit & gates. Seasonal road, possible maintenance if you build on land. Gorgeous views of the Mohawk Valley, Adirondacks & Catskill Mts. Not far from Cooperstown and other upstate activities. Large building lot on Lake George. Year round access. Gently sloping to the water. Possible town sewer and water! Estate lots at their finest-a total of 18 lots in the Forest Hills Community-only 7 remain-sites range from 5-8 acres-homes average 6,000 sq ft-forested,open, some ponds-private,secluded, luxurious yet minutes to everything you need. Excellent building lot with 24' deeded dock space, and 50'x50' deeded lake access ownership shared with (4) other parcels of the common area including picnic area. APA pre-approved building lot. Preliminary engineering and storm water have been completed. Lot is ready to build on. Queensbury Commercial Lot for Sale! 1.01 Acres with 150 feet of frontage on Route 9, north of WalMart, south of the Great Escape. Huge traffic counts on the commercial corridor from the Town of Queensbury to the Town of Lake George. Town of Queensbury Water and Sewer, , National Grid Electric and Natural Gas. NOTE Additional 1/2 acre available subdivided from neighboring parcel 296.9-1-12 with town approval...total price for 1.5 acres $325,000 Call and schedule your showing today! Queensbury Commercial Lot for Sale! 1.01 Acres with 150 feet of frontage on Route 9, north of WalMart, south of the Great Escape. Huge traffic counts on the commercial corridor from the Town of Queensbury to the Town of Lake George. Town of Queensbury Water and Sewer, , National Grid Electric and Natural Gas. NOTE Additional 1/2 acre available subdivided from neighboring parcel 296.9-1-12 with town approval...total price 1.5 acres $325,000 Call and schedule your showing today! Nearly quarter-acre approved building lots with existing 50' x 30' poured foundation with a drilled well and connection to public sewer. Beautiful Saratoga Lake views. Saratoga race track only minutes away. Very pretty and unusually shaped parcel just minutes from the Taconic State Pkwy entrance and only 12 minutes to Hudson. Even less to lovely nature areas if you want more than what you'll already have here. With clearing, this land could be almost anything you can dream up - from pastoral to parklike to deeply wooded. Very interesting terrain so bring your imagination and your house plans and let the creation begin! Beautiful northwest mountain views from this quiet and secluded building site. Close to Tanglewood, Jiminy Peak, Catamount and all Berkshire Attractions. Queechy Lake Beach Rights. Views of the mountains and lots of privacy with this 63 acre parcel. Put a house on the road and create another lot in the back. Or create your own private estate surrounded by fields, woods and a stream. Land has rights to a Village water tap. Vacant land lot located in small subdivision on the East Side of Lake George. Build your dream house. This lot comes with dock access for up to a 30' boat, and a parking space. Walking distance from the lot. Lot Number 1 of a recently approved subdivision (filed with county clerk, tax map number has not been assigned yet) consists of 19.58 acres with 479.88 feet of frontage. Commercially zoned with exposure to high volumes of traffic enroute to the Adirondacks and the westerly shores of the Great Sacandaga Lake, this property adjoins the proposed "Resource Hub" portion of MLS #201324234. Amazing possibilities with 91 acres in a beautiful part of the Adirondacks. Subdivision possible. Land includes stable stalls, bathroom and male and female changing area and tack room that need some TLC. Well is on property(unknown type) and electric. 1.87 acres of vacant land along the Route 9 / Maple Ave corridor. Property is zoned office / residential. Single family, 2 family, home occupation permitted uses and many uses with site plan review or special use permit. *BOM Pending Releases* Fantastic lot with over 6 acres of private woods which some of it has been already cleared. New 350ft long driveway with 300 feet of water lines ready to be connected with new home. Land has pond and is surrounded by Nature Preserve. Beautiful and ready to be built on. Septic drawings ready to go! Use your own plans or use ours. Offering 2 floor plans starting in the high $500k's. Location is 164 Old Schuylerville Road. NEW TO MARKET - 34.373 surveyed acres w/SHELL of an 1850 Farmhouse needing total rehab. UNPARALLELED PRIVACY AND QUIET. Abuts DEVOE BIRD SANCTUARY - Clear, largely level acreage excellent for walking. 1135' road frontage. 4 miles to Chatham Village, 3 to Parkway/I90 and 18 to Lenox MA. Survey attached. Old Chatham mailing address. Town Road ends at property (by the house)ensures privacy and begins across from #244 Upper Cady.Across from #244 is the last house on the seldom traveled road of few homes. 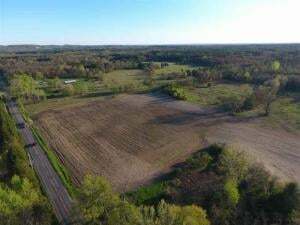 36 acres with 950' of road frontage in Burnt Hills Schools. 58 wooded, secluded acres. Surveyed, potential view with clearing. Large wooded lot with hunting cabin and pond. 7 contiguous parcels with 400ft of frontage on NYS Route 30. Private Mcmillian Road runs through the center of the property to access cabin. Small clearing around cabin, otherwise fully wooded with timber value. Prime hunting land with trails throughout. Sell some timber and start building your estate. Priced to sell!! "Hunting Paradise; Family Retreat; your own slice of heaven this 146.6 acre parcel located on a dead end road was once used as a summer retreat for NYC children. This property has been in the family for over 50 years and now it's your chance to own this amazing property. You will love this mostly flat property with mature trees, two springfed ponds, riding trails throughout the property, also comes with a cabin in need of a little TLC but could easily be your seasonal home, no electric to property. Great 5.4 acre building lot with a view of the Helderbergs at the end of a private road of 2 fine homes. Off Rt20 for an easy commute to Albany or Schenectady. No words to describe the beauty of this property as the views while breathtaking are also views protected. With a newly built 24'x40' barn sitting ready to use and excellent to build a gorgeous home within .. Property has a drilled well and a health dept approved leach field .. ready for a septic tank .. the power is in place underground to the barn. Large parcel with great views and subdivision potential. The forested parcel has been managed for continuous timber production and harvest. Currently the mostly open hardwoods have lots of Red Oak, White Oak and Rock Oak to feed the deer and turkeys. Old logging roads can serve as hiking and four wheeler trails. The 1489 feet of road frontage helps to assure complete privacy or easy subdivision in order to recapture your investment. 12 acres on the beautiful Hudson River. Own a piece of paradise in Upstate NY. Build your dream home on this secluded & private piece of land. Great location for your office, site history indicates an office building was approved for location alternative is for two single family or duplex variances required. Rare opportunity to build in Saratoga Springs. Ideal location on Ward Street, close to the track and all that Saratoga has to offer! Sale can be combined with adjacent lot. Subdivision Plan available to view. Location Location, Now available 1.41 Acre Commercial Vacant Lot located on State Route 9 & 20 in the Town of East Greenbush. A High traffic 4 Lane Rd with over 16,000+/- cars per day. Lot has frontage of 486 ft. Ideal for Retail including: Bank, Credit Union, fast food. Parking for 75+ cars. Lot approved for up to a 12,000 sq ft building. Direct commute to the City of Albany (West) Or Massachusetts (East) Amtrak Station approximatly 3-4 miles West. Call Listing Agent Today for info. SOUGHT AFTER AREA..This is the ideal location for a fast food, coffee shop, restaurant or retail space, gas station, ice cream shop..great exposure on Main Street with additional exposure on Woodside Ave. Large Commercially zoned property with Municipal water and sewer at entrance to the City of Gloversville..High traffic volume. ESTATE SALE/PRICED TO SELL...Zoned Professional/Residual this is an excellent location. A Conceptual Study has been done, see attached, for 18,000 sq.ft. office. Additional separate tax id# 22.7-6-32.11 is included in listing price which could be developed for duplex housing. All utilites at street or close by. Close to 100 acres located less than 5 miles to the City of Saratoga Springs in the Saratoga Springs school district. Build your new home here and/or create your own sanctuary among this impressive 97.5 acre wooded natural beauty, further enhanced by the meandering Sessleman Brook. Envision trails that could be created for walking/hiking trails, cross country skiing, mountain biking, picnicking by the brook, hunting, etc. Enjoy the best of both worlds with the privacy of this large parcel has to offer yet only minutes to a bustling downtown. Hops farm & recreational property. Over 6000 planted hops. Main hops plants include Cascade, Chinook, & Zeus (CTZ) w/a few minor varieties included. Secluded setting w/ideal growing conditions- level, well-designed fields, drip irrigation. Balance of property is an ideal recreational setting w/over 180 rugged wooded acres. Breathtaking mountaintop views giving way to wooded sections & waterfalls. Tranquil Little Hoosic River runs through the property. Currently not in operation, but can be within 1 season. Portion of Tax ID 8.-1-1.8. Lots 15, 15A, 16, 16A, 17 & 17A totaling 6.2 acres. APA approved building lot with deeded Lake George access (see yellow highlighted area on map) and bordering Laurel Brook. Glenburnie recreational rights available. 4 major subdivision approved per New Scotland Town planning board, water and sewer district extension this month, 1.92 acres, public water, public sewer, natural gas and electricity at road. Build your dream home. call listing agent for more details and timeframe. 4 major subdivision approved per New Scotland Town planning board, water and sewer district extension this month, 1.64 acres, public water, public sewer, natural gas and electricity at road. Build your dream home. call listing agent for more details and timeframe. Owner will finance Choose from BEAUTIFUL BUILDING LOTS 27 ACRES +- BEAUTIFUL VIEWS Private Quiet. NATURE PARADISE Private 10 minutes to Northway - Rare opportunity to own 27 ACRES +- Next to WEST MTN Adirondack Park Forever Wild. Exit 18, 19 or 2 Price goes up in April! Bring your plans to build a serene getaway only minutes from the city of Johnstown and area lakes. Two parcels were combined to make an expansive 328 acres for hiking, snowmobiles, and off-road vehicles. Not in the Adirondack Park. Beautiful wooded areas with 2 ponds offer plenty of privacy. Contact listing agents for survey and additional information. Investors Delight-Prime Commercial Acreage adjacent to Moriah Business Park on Plank Road in the town of Moriah Hamlet of Mineville. 38 Acres, prime commercial development acreage, town water & sewer available, large road frontage, nearly level terrain, Location! Location! Location! Spectacular wooded privacy on a secluded, year-round maintained country road. 100 miles north of NYC; less than 35 miles to Hunter Mountain and Bellayre Ski centers; less than 25 miles to Woodstock and Kingston. Weekend getaway or dream house. Minutes from Ashokan Reservoir and Catskill Mountain Preserve. Property is offered in "as is" condition. Build your dream home on this level, wooded lot in Slingerlands. Gas, water, and sewer at road. Lovely neighborhood of tasteful, distinctive homes. Deed restrictions to maintain quality of neighborhood. Agent is principle of corporation which owns this property and related to other principle. Owner will consider financing. This private waterfront 2.6 acre lot has gorgeous views and 160 feet of lakefront on Lake Pleasant. With year round activities right outside your front door, this is the ideal spot to build your private mountain retreat. Short drive to the restaurants and shops in the Village of Speculator. Providing family fun to thousands of families over many years, this parcel was known as Ski Land ski area in a bygone era. With approximately 1/2 mile of road frontage and bordering the Cole Hill State Forest, this unique parcel would be an excellent recreational property perfect for hunting, hiking, recreational vehicle use or simply a private retreat for that special get a way cabin or beautiful home. Priced to sell, this should be on your list of must see pieces of real estate! 0.14 Acre lot/gateway to a 24 lot subdivision subdivision ( MLS 201813375 ) all electric, natural gas, city water and sewer are at & end here on this parcel. Boasting views of the Vermont Mountains and overlooking Saratoga Battlefield, this lot is approved and ready to go. Build your dream home on this beautiful, nearly 7-acre lot. Owner Financing Optional. The owner has other lots available as well. Now is the time to make your Dream home dreams come true! Large wooded parcel of land with 252 ft of frontage that opens up to picturesque settings. You can truly have it all. Privacy, Convenience and Saratoga Lake is less than 2 miles away. Owner Financing. Call Listing agents and Let us give you the tour.